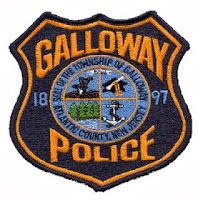 On Tuesday February 28, 2017 at 1:19 p.m., Charity Offeibea, 30 of Egg Harbor Township, lost control of a 2002 Nissan Pathfinder and drove into the bedroom of 73 Apache Court in Galloway. No one was home at the time of the accident and Offeibea and her passenger were not injured. Both subjects were wearing their seat belts. Galloway Township Code Enforcement responded to the scene and deemed the structure to be uninhabitable. The structure was secured by Code enforcement. Offeibea was issued a summons for careless driving. Anyone with further information regarding the accident please contact Officer Ron Gorneau at (609)652-3705 Ext 5095.